Prince of Nothing maps | The Cesspit. 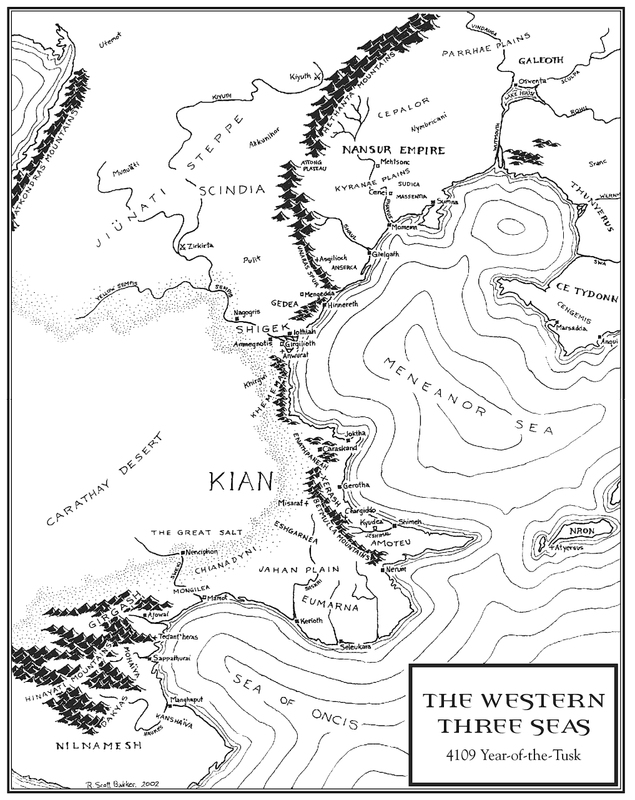 I hunted around for good copies of the maps printed in the “Prince of Nothing” trilogy, same as I did for Malazan. 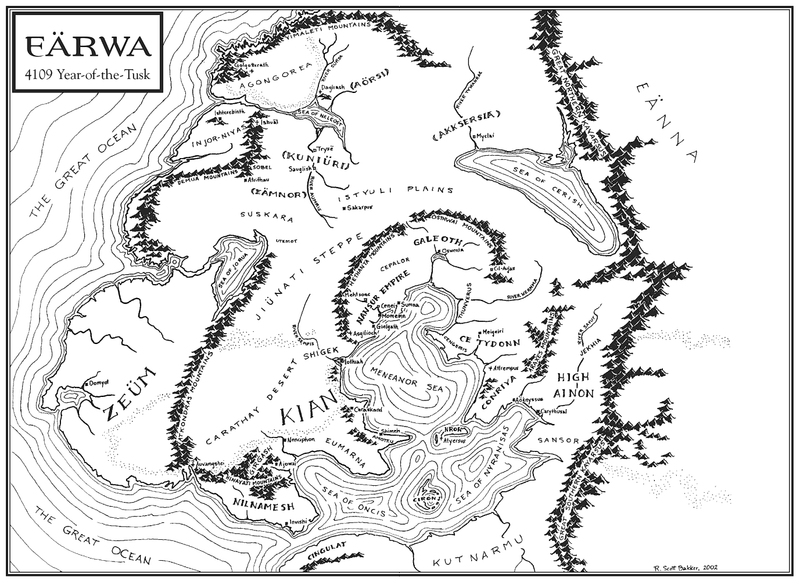 The US edition of the book is rather badly done, the map is printed on two pages and the central part is missing. So here are the two maps in the best resolution I could find. These are better even than the official ones Bakker provided on his site (which I think is now offline).